I’ve been adding to my kitchen repertoire with these delicious bars. They’re easy to make, and packed with healthy ingredients. I decided to start experimenting after years of being underwhelmed with packaged bars. From my quick study, it seems most energy bars can broken down into three components: bulk, sweetener, protein. …and maybe a fourth; tasty bits. Bulk: This can come in the form of flour (wheat, oat, etc). I choose oats, mainly because they’re gentle on my stomach and I love oatmeal before morning rides. Easy. Also, I wanted to give a gluten-free bar a whirl. I won’t be giving up our sourdough pizza hobby just because the cool kids are going gluten free, but I figured if I were to notice a “difference” in a gluten free diet, it’ll most likely be when I’m riding a bike for hours on end, burning calories like a steam engine digests coal. 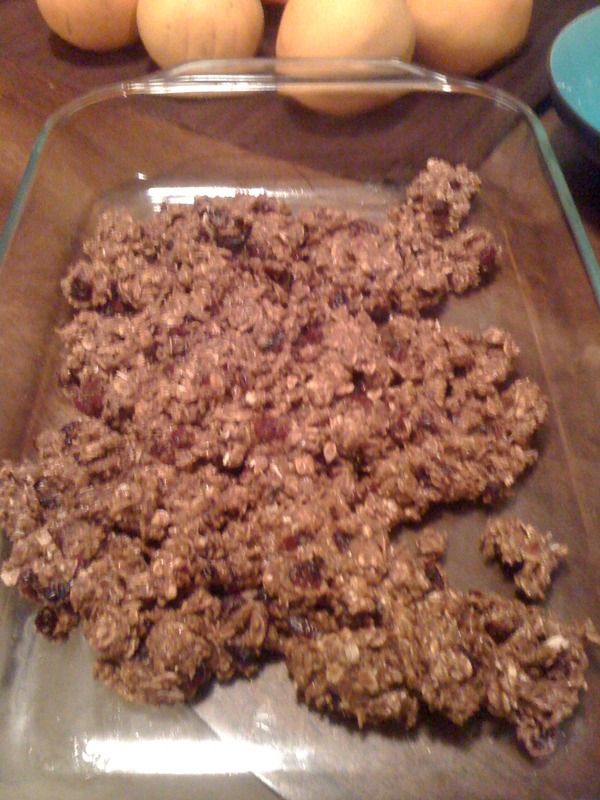 Protein: I use whey protein, some nuts, and almond meal in my recipes. Remember from Chemistry class: sugar+protein= glue. You’ll need something in there to make everything stick together. Tasty bits: Just like it sounds. cranberries, or maybe ginger+almonds, etc. 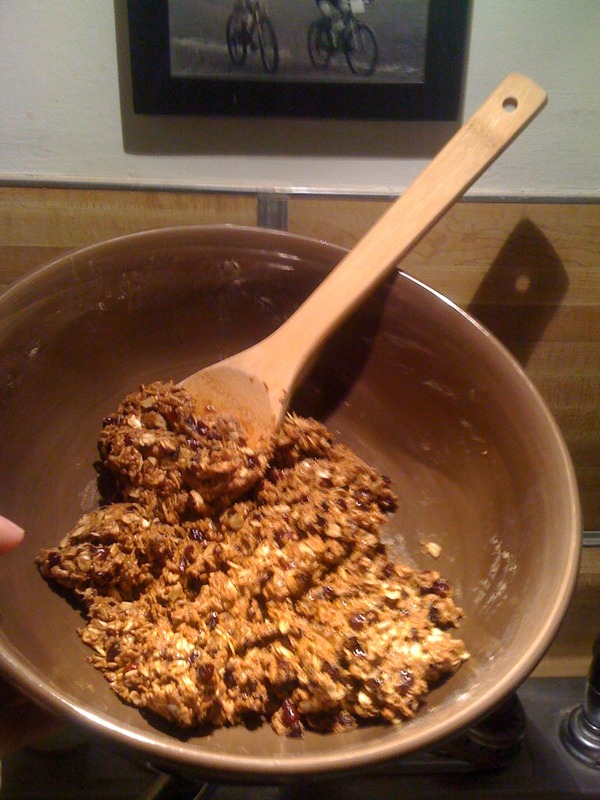 Toast the oats in the oven for a while, maybe 10 minutes. This is a good way to preheat the oven (350 degrees) and you might as well use the baking pan for this step. Add dry ingredients, stir everything up. Bake at 350 degrees for 10-20 minutes. When it smells good, it is good. Remove, let it cool… break into pieces. Pack in ziplock baggies and ride. I hadn’t thought through the timeline as to how long it would take to “feel” the difference between GF and non GF meals. That said, I do tend to eat “better” on the bike than I might otherwise do when I’m working, snacking, etc. For me, it’s a matter of volume. When I’m on my bike, consuming thousands of calories on a long ride, I figure it’s better to chow down on the good stuff. As for Siren jerseys… I think you’re the 105th person to ask me about it in the past week. We had some proofs made up by Louis Garneau that I think need some tinkering, then we’ll bring them to life. The time is nigh.